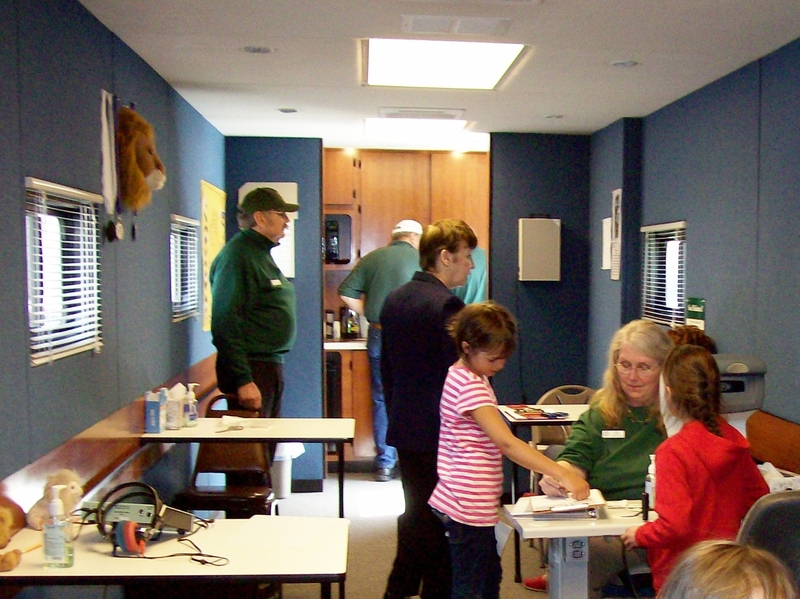 A new program is being offered by Lion’s for Hearing Aids. To get new hearing aids, a person must meet the income guidelines and a co-pay. Then the Lion’s Club will provide the remaining, necessary amount. 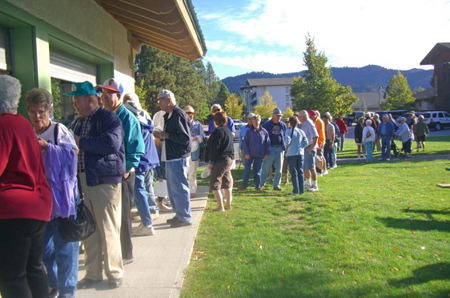 This program will go through Hometown Hearing in East Wenatchee WA. Donate used cell phones to a club member and they will give to Lion Ed. 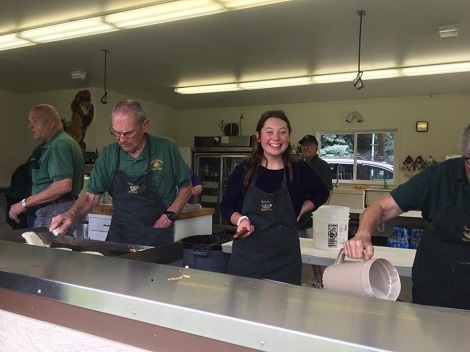 OR Bring to Lion Ed at any Leavenworth Lions Club meeting! 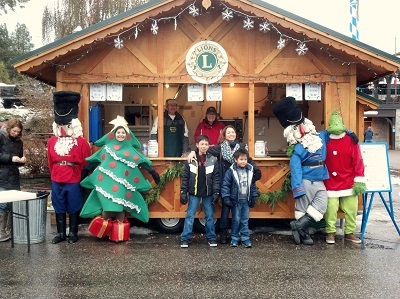 The Lions realized that immediately after the holidays, food banks tend to be low on groceries; thus, the Leavenworth Lions Club Food Drive was implemented with Lion Ed as its enthusiastic coordinator. Nonperishable canned food is dropped off at designated Upper Valley businesses and churches. 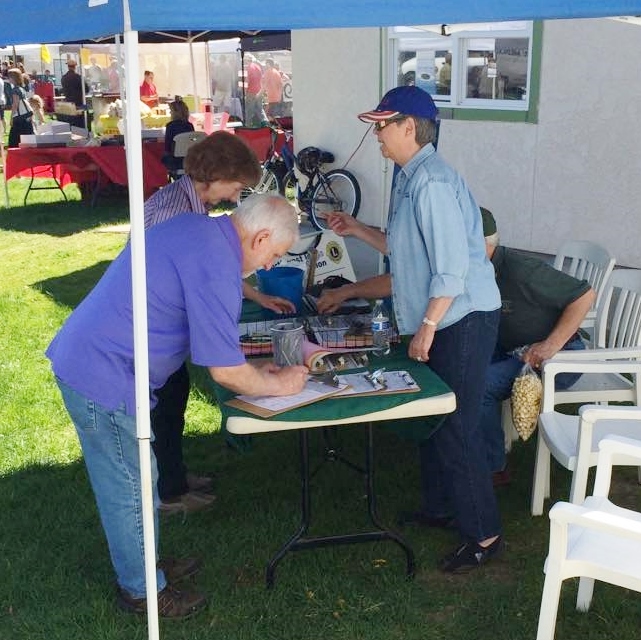 Leavenworth's Community Egg Hunt is co-sponsored by Leavenworth Lions Club and Bavarian Village Business Association (BVBA). 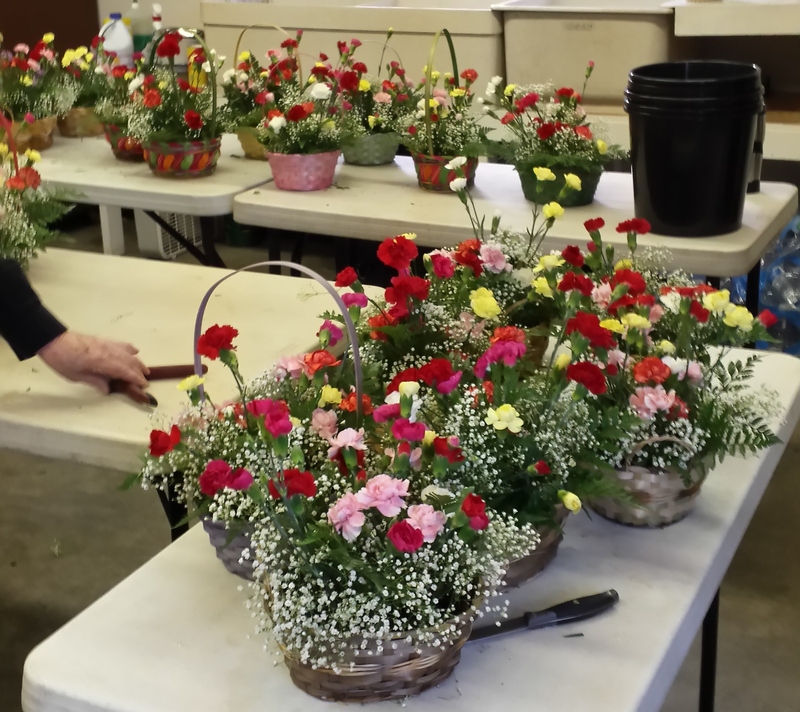 This annual event is held on Easter Sunday, usually at Enchantment Park. 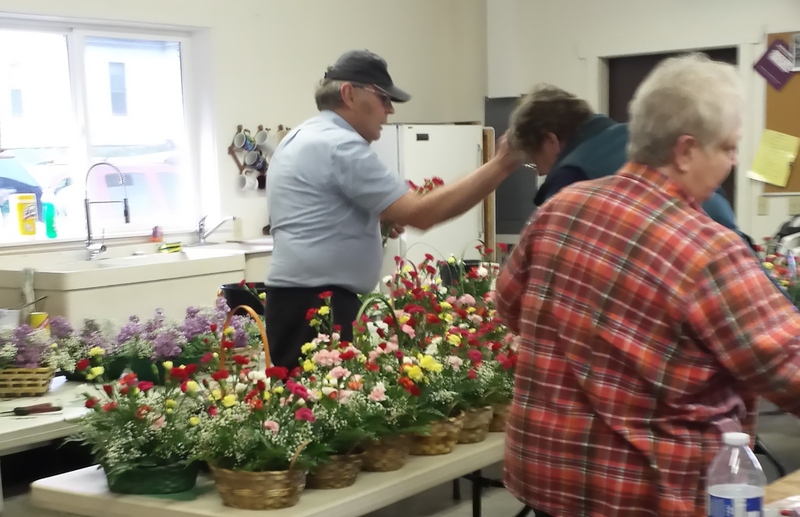 Experienced Lions Club members help the new club members carry out the project. 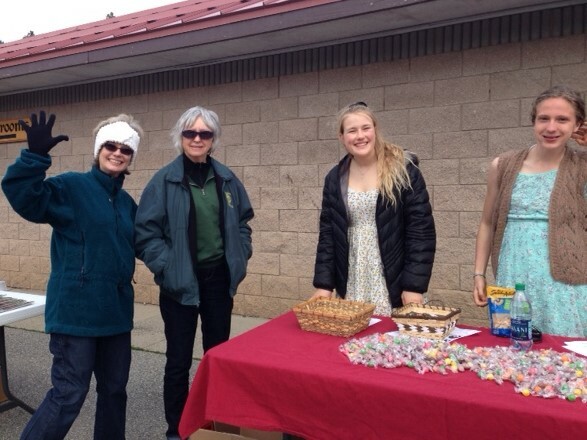 Lions clean up the grounds, set up age-group spots and signs, hide the eggs, and hand out prizes. Some of the prizes are shown above. 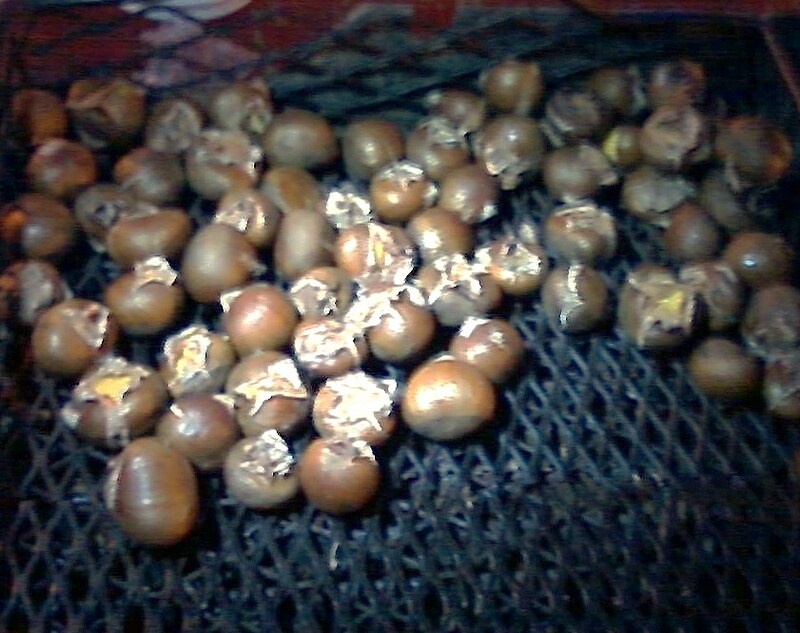 100's of eggs are prepared for three age groups. Third photo above: Leos Tessa and Erin with Lion Dorothy. 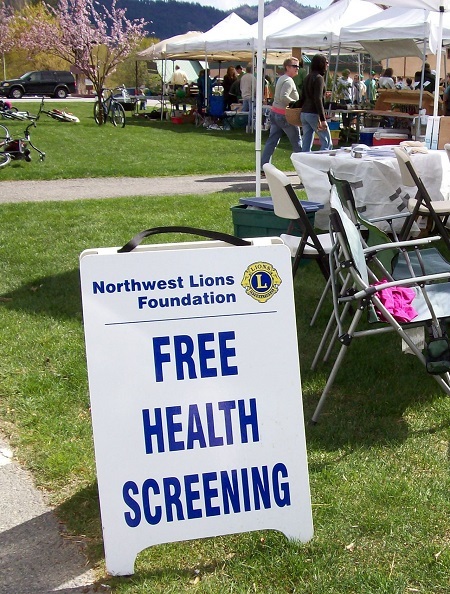 Leavenworth Lions Club participates in Leavenworth's Earth Day Festival at Lions Club Park by offering FREE health screenings to adults and children with the Northwest Lions Foundation's Health Screening Unit. 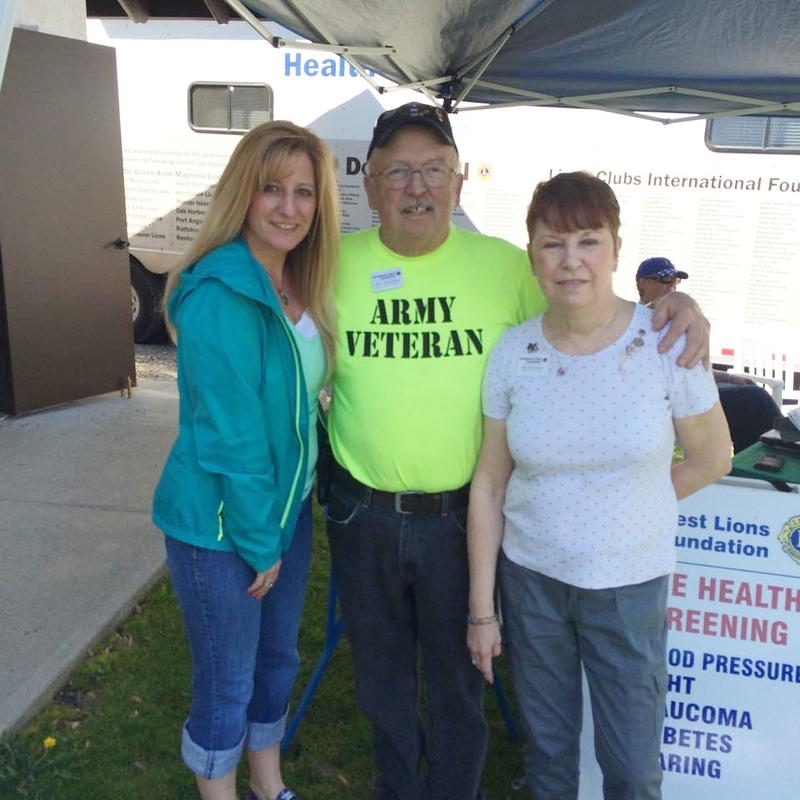 Local residents are screened for vision, hearing, blood pressure, glaucoma and blood sugar. 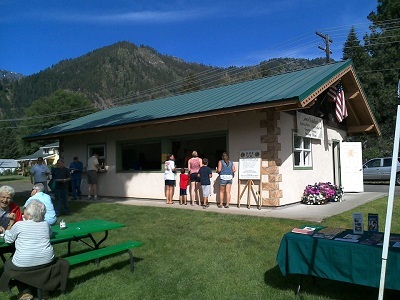 CPR is taught in the Den Clubhouse at the back of the park. It is our goal to connect qualified individuals with health care providers for additional testing for glasses, hearing aids and other health issues. 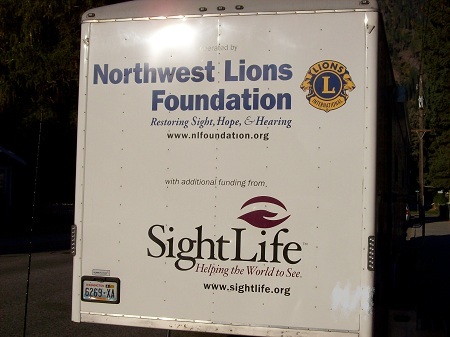 The 62-foot van is requested from NW Lions Foundation. 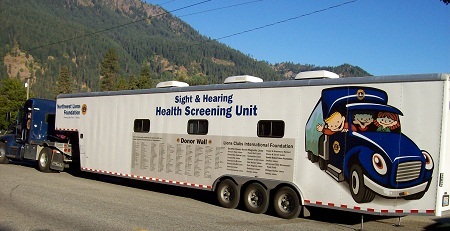 Lion Mike and Lion Pat drive and manage the medically-equipped Lions Health Screening Unit (LHSU) travels throughout WA and Northern ID. 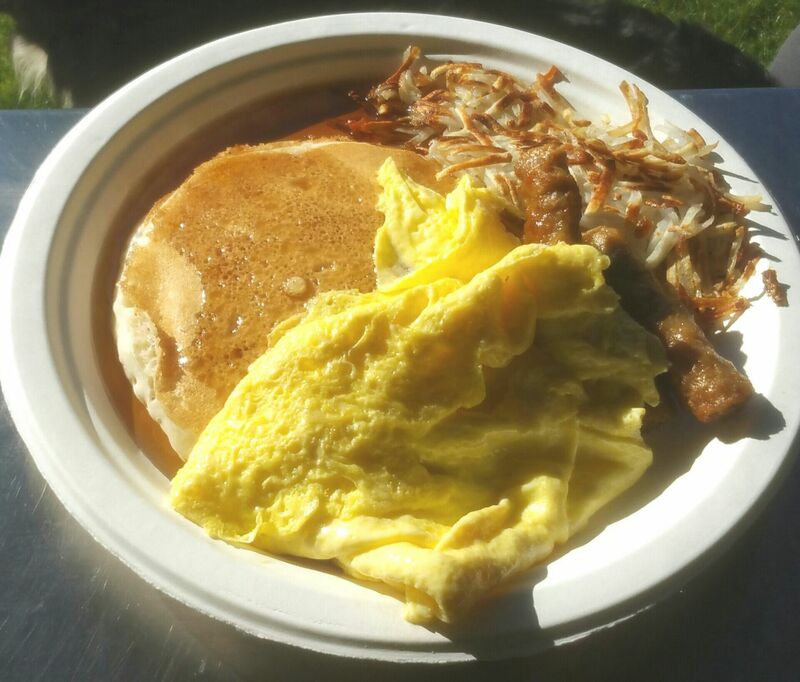 Community Breakfasts: Enjoy All-You-Can-Eat pancakes, eggs, sausage, coffee or milk. Lions Club Park - Hwy 2 next to City Pool, Leavenworth WA. See the Community Breakfasts tab for more information. Proceeds go to Lions' service projects locally and worldwide. 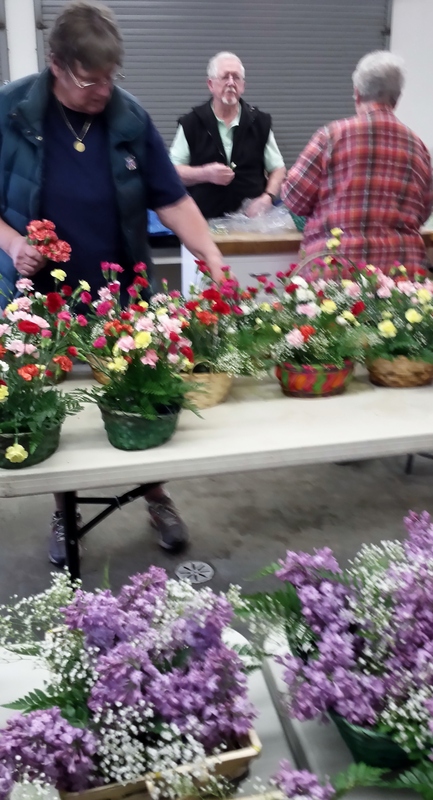 To cheer their day, Leavenworth Lions Club provides beautiful May Day Baskets for the residents at Mountain Meadows Senior Living Campus in Leavenworth, Washington. Several members of Leavenworth Lions Club, (often times Veterans) around Memorial Day (and/or Veteran's Day), put on a brief program for grades schools, describing the flag and its symbolism. Small flags are presented to a designated class or group in the school. In the past the program has gone to UVCS, Beaver School, and P-D Elementary. This scholarship is for graduating seniors from Cascade High School, Upper Valley Christian High School or a graduating senior that has been home-schooled and is a resident of Leavenworth, Peshastin, Dryden, Plain or Lake Wenatchee. The student may use this scholarship for higher education at any university, two-year or four-year college or a vocational school. Four finalists are chosen by Leavenworth Lions and receive a $1000.00 scholarship. From among the four finalists, one finalist will be chosen to receive an additional $250.00 from the Jean Hanson Memorial Leavenworth Lions Scholarship Fund. Please read the Scholarship Cover Letter, complete the Scholarship Application and submit it by the April 15th deadline each year. This cart is used in the Autumn Leaf Festival Parade. Club members walk in the parade, some carrying the club's banner showing the breakfast fundraiser information. 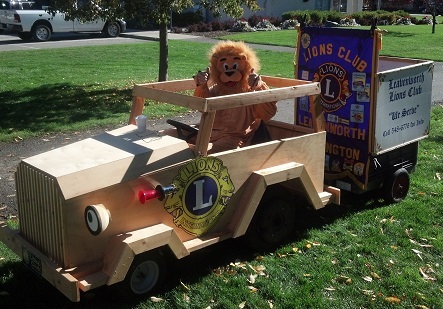 Lion Duane made a cart for the Leavenworth Lions Club to use in parades! The club's banner is also hung on the cart. 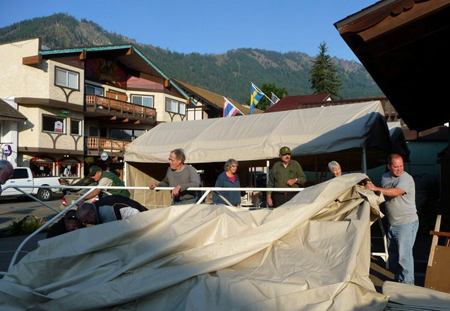 We help "Friends of the Library" set up and take down the tents for Autumn Leaf Festival and Oktoberfest in Leavenworth, Washington. This is a great fundraiser for our club. The Used Book Sale is on the corner of Commercial and 8th (across from the hospital). Several members of Leavenworth Lions Club, (often times Veterans) around Veteran's Day, put on a brief program for grades schools, describing the flag and its symbolism. Small flags are presented to a designated class or group in the school. In the past the program has gone to UVCS, Beaver School, and P-D Elementary. 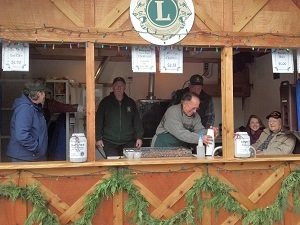 Leavenworth Lions Club sells freshly roasted chestnuts, hot cider and cocoa during the Tree Lighting Festival in Leavenworth, Washington. 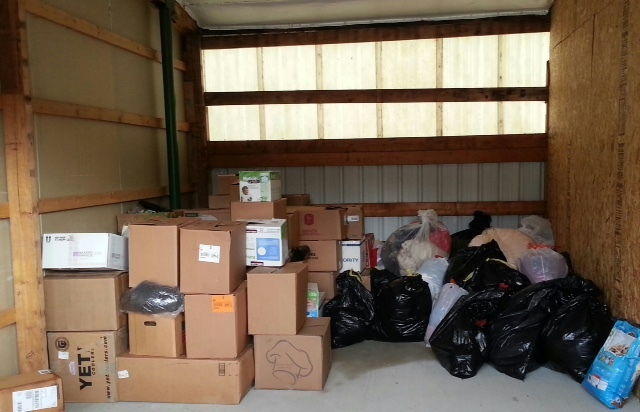 Each year, we adopt families and provide food and gifts for the holidays to help them have a joyous time. PHOTO: Lion Pat wrapping gifts to deliver to families from Leavenworth Lions Club. 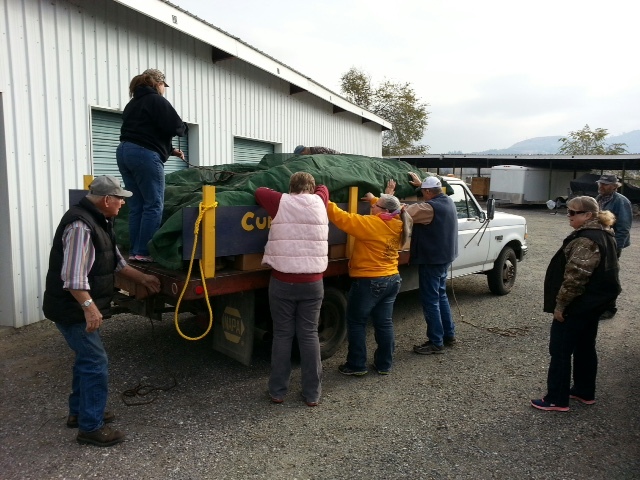 Our club sponsors a flower bed at the E. Lorene Young Community Garden in Leavenworth. The photo is the plaque on the entrance gate. 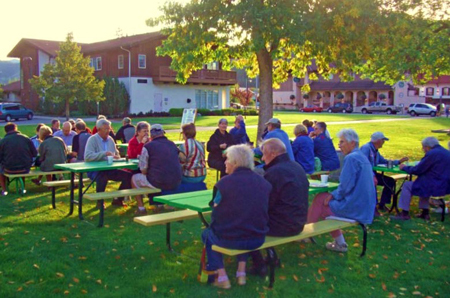 There is a sign attached to a bench that reads "Leavenworth Lions Club, In memory of Gordon Marson" and one attached to a legacy tree that reads "Leavenworth Lions Club". Our club contributed $500.00 to the Community Garden to help establish the garden as it was being built. In addition, the club donated a bench in honor of Gordon Marson to be placed in the garden. The contrib ution of the bench was made possible through the generous gift to our club from the Gordon Marson estate. The bench, with a plaque stating that our club is honoring Gordon, is now "planted" in the garden. The Leavenworth Lions honored long-time Gordon Marson with a wooden bench places in the E. Lorene Young Community Garden. Gordon's widow, Marydell, and his son Ken helped to dedicate the bench at a picnic dinner held at the Garden. Ken spoke briefly at the dedication noting how much Lions did in the Leavenworth community and that his father, Gordon, enjoyed being a Lion Club member. 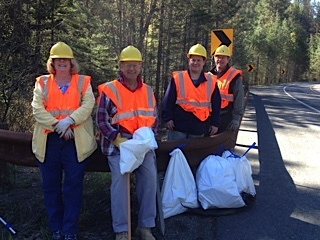 The road sign helps spread the word about our service club through Adopt-A-Highway Cleanup efforts. 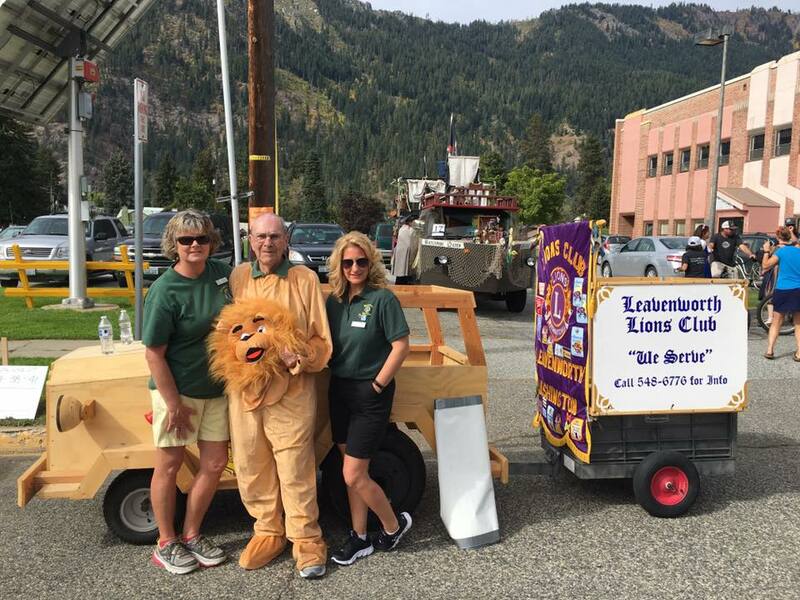 If you are interested in helping with upcoming clean-ups in early Fall & Spring, contact a Leavenworth Lions Club member! 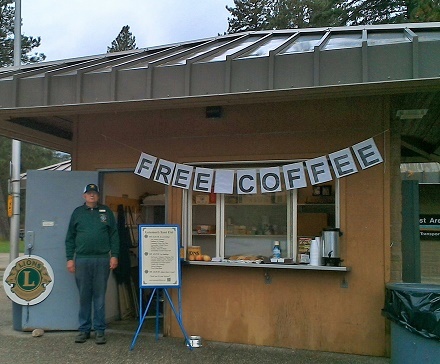 Leavenworth Lions Club provides this important service to weary travelers by offering free coffee and snacks at the Nason Creek Rest Area. In conjunction with Leavenworth Community United Methodist Church, the Backpack Mission helps local area children who have nothing to eat on the weekends. They are sent home with a backpack of food items on Fridays. Our club and area churches are supporting this program with financial help to buy food. Lion members are also supporting the project with supplies to promote good oral health. Toothbrushes and toothpaste are initially being supplied by Lion Brad O'Brien. 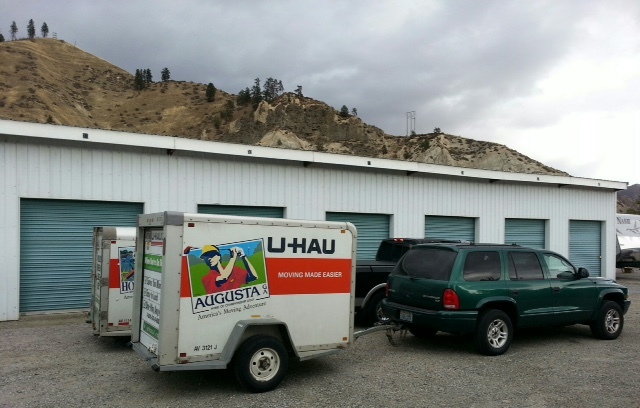 Local area Lions came to Cashmere RV & Storage with two SUVs pulling two U-Haul trailers filled with boxes and bags of clothing for folks affected by the fires up north in the Tonasket / Okanogan area. 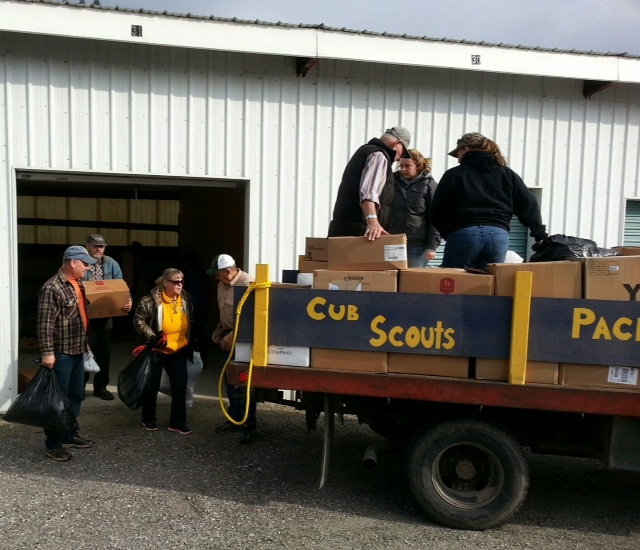 The following day, Lions members from Tonasket / Okanogan picked up the donations with a one-ton truck and two SUVs. 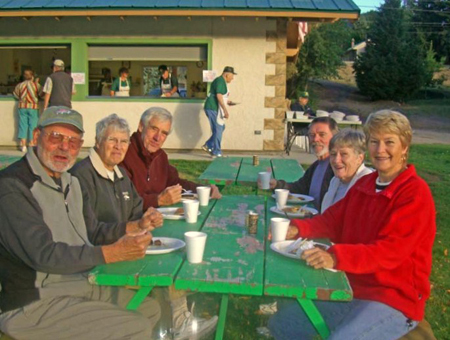 Leavenworth Lions who helped: Duane R., Ed P., Conrad D., Kirk T. and Lynne T.
Jim T. - Orchards-Evergreen Lions (Lion Kirk’s brother), Edie B. - Ridgefield, Morte (sp?) W. - Kalama, Craig L. - Fort Vancouver, John C. - Cashmere, Scott C. - Cashmere, Jim O. - Wenatchee Central, Gordy D. - Wenatchee Central * NOTE: There were several other Lions also from the Wenatchee area. But they left before we got their names.